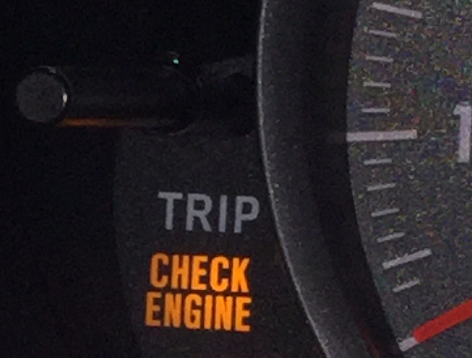 Seeing your check engine light suddenly come on can be very frustrating. Did you know your brain has a natural check engine light? It’s the feeling of being frustrated. Whenever you feel frustrated, your brain focuses your attention on the fact that you feel something you value is being denied. Whenever we don’t get our needs/desires satisfied to the levels we want, we get frustrated. It indicates something is judged to be “wrong,” based on a value judgement, using your values/needs as the standards of “right.” Frustration provides internal motivation to change your frustrating situation in some way. The stronger your value/need/desire is to you, then the more intensely frustrated you may feel if you believe your need is being denied or your value is being violated. If something doesn’t naturally matter to you, then it is unlikely to be a source of frustration. No one situation will generate frustration in all humans. We are each unique in our values/needs/desires. For example, let’s say you are on a family vacation driving trip when you notice your check engine light has just come one. One person might be frustrated because s/he highly values the family time and fears that the engine issue will cut down on the enjoyment of the family’s vacation. Another person who has a high sense of honor or duty may be frustrated because s/he now feels guilty for not having the engine inspected prior to taking the trip. A third person may feel frustrated because they desire a sense of order and have planned the entire trip down to the minute and view having to stop and have the engine looked at by a mechanic as an unwelcome change of plans. The same thing happened to all of these people, the check engine light came on. Each of them experienced a varying degree of frustration as a natural reaction to the situation based on his/her value judgment. The key difference is understanding that each individuals frustrated reaction was the result of his/her own strong needs/values/desires. As a Reiss Motivation Profile Master, I was trained by Dr. Reiss to help people understand what matters most to them and what they need to feel satisfied with life and to avoid frustration. By completing a Reiss Motivation Profile®, you will discover which of the 16 basic desires drives your behaviors and can be the source of your greatest frustrations. Once you understand your frustration check engine light, you can create strategies to effectively reduce your frustration and return yourself back to enjoying the trip down life’s highway. Frustration is a warning, just like your check engine light. If you leave it unaddressed, then you risk being stuck on the side of the road or worse. Your brain is not designed to tolerate long-term frustration and so it is best to know how to try to reduce frustration before it becomes a more significant issue which impacts your well-being. If frustration is lighting up on your mental dashboard? Perhaps a better understanding of your needs/desires and values can help you stay on the road to success, improve your productivity and increase your sense of well-being. For your Reiss Motivation Profile® online assessment: Contact me at andy@lifematchesbook.com and I’ll arrange for you to complete a Reiss Motivation Profile® online. Together we will conduct three 45 minute tele-coaching sessions to review your results and to discover what matters most to you and create strategies to increase your sense of well-being. 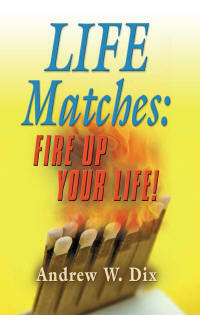 Your Reiss Motivation Profile® and three personal coaching consultation sessions are only a total of $988.00 US.